MainAll NewsInside IsraelWhat Are We Thinking? For 45 years, all of Israel's governments have based all of their "peace" plans on Allon's Jordan Valley plan. For 45 years, all of Israel's governments have deluded themselves with a “plan” that is both idiotic and contrary to all basic principles of warfare. 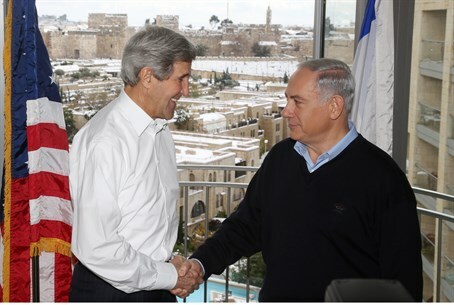 Now, with US Secretary of State John Kerry reportedly trying to force a deal along the lines of the Allon Plan on Israel (with even more concessions than originally envisioned), it is more important than ever to understand what exactly the plan is - and why it is utterly suicidal for Israel to accept. 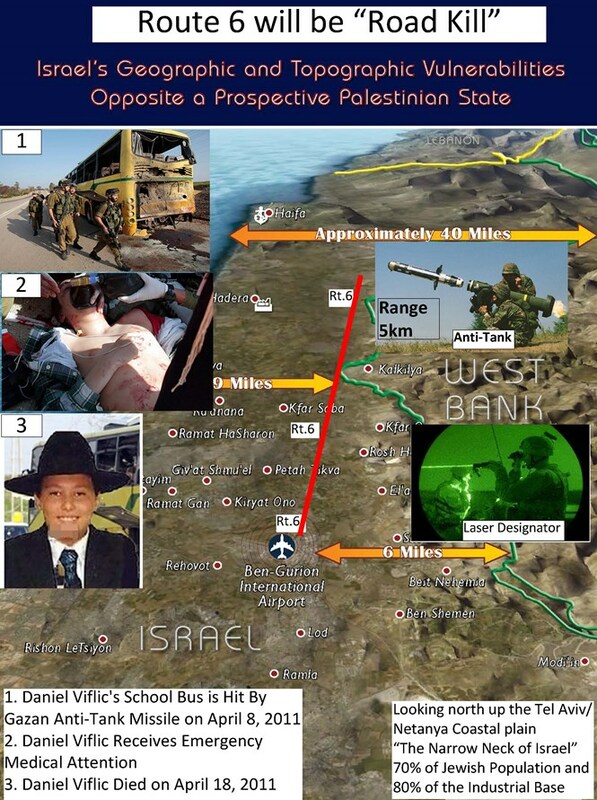 Israeli Military Intelligence loves to concoct and convince themselves of delusional theories. 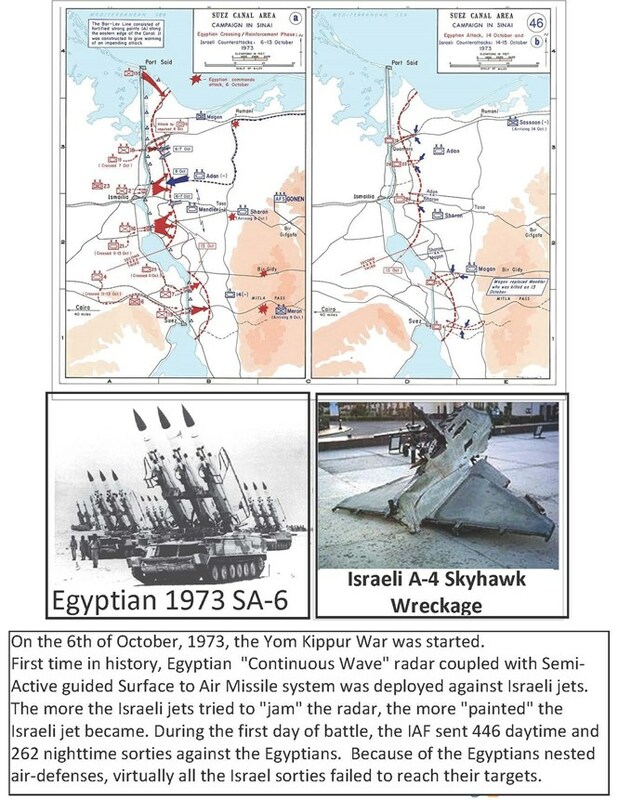 Take the IDF's infamous "Concept" which it held prior to the 1973 Yom Kippur War: Egypt will only attack Israel if the Egyptian Air Force could take on Israel's Air Force. According to the then-IDF Military Intelligence "experts", since Egypt hadn't upgraded its Air Force, an Egyptian attack on Israel was "irrational" and therefore impossible. How wrong they were. Egypt attacked, and used a high-tech interlocking web of Soviet anti-air missile batteries to create an air-defense umbrella for its marauding tanks that blew through Israel's “indestructible” Bar-Lev defense line. In just one day, on October 6, 1973, the Israeli Air Force flew 446 daytime sorties and 262 night missions. Every Israeli sortie that day was a failure because the Egyptian SAM (Surface to Air Missile) air umbrella devastated the Israeli planes by homing in on the IDF's jamming pods. The pre-1973 War IDF "Concept" was crazy, but now enters the greatest military folly of all time: The Allon "Jordan Valley" Plan. What is the Allon Plan? 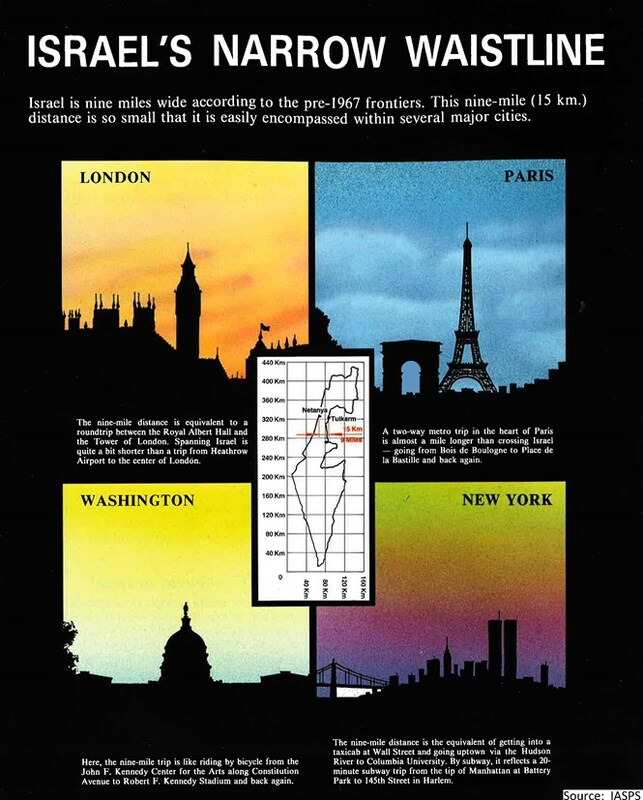 So, who thought up the Allon Plan, what exactly is the Allon Plan, and why did Allon concoct it? For simplicity sake, let's just look at the Northern Lobe of Judea and Samaria (the West Bank). 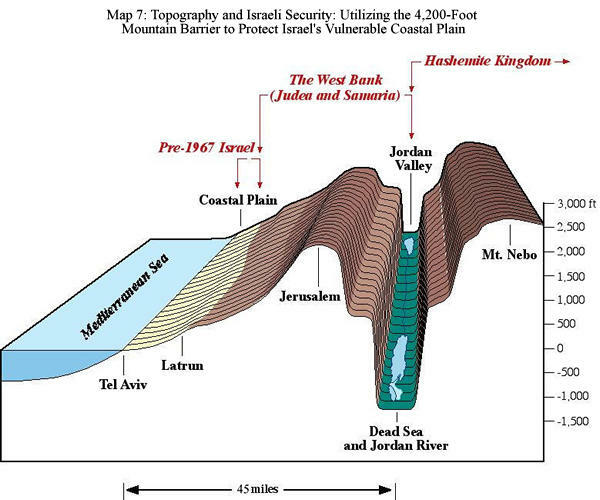 If you look at a cross-section elevation view of Judea and Samaria, from the Green Line working westward, the Western Samarian hills gently elevate to the watershed-crest line of the spine of the West Bank that runs north-south. Jerusalem sits astride the middle of this north-south West Bank crest-line. From this crest line, the elevation drops steeply and meets the Jordan River. So, the left or west-of-the-crest-line part of the "West Bank" is about 75% of Judea and Samaria, with the right or east-of-the-crest-line part making up the remaining 25% or so. Since the west-of-the-crest-line section of Judea and Samaria has relatively gentle slopes and was nearer to Jewish businesses in Tel Aviv, before and after 1949, local Arabs were able to build homes in this area. But, because the east-of-the-crest-line part of the region is so steep, it's almost impossible to build much on the West Bank's eastern “valley” aspects. Consequently, almost nobody ever (before or after 1967) built much housing there, except for Jericho (which has always been Israel's gateway city for people coming westward to Jerusalem from Jordan). 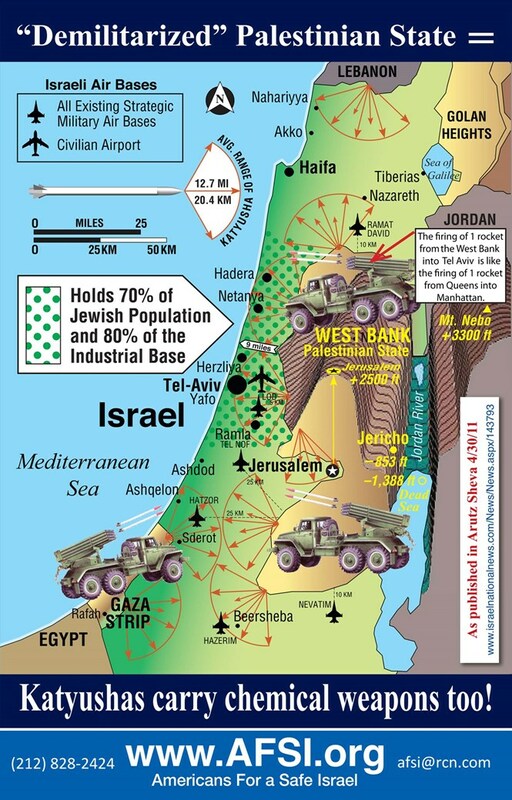 So, when Israel liberated Judea and Samaria in the 1967 war, almost all the Arabs lived on the western side of the West Bank's crest-line, and the eastern side of the crest-line was virtually uninhabited. Consequently, General Allon thought he came up with a "genius" plan. He outlined a plan that created a Palestinian state in the Western part of the West Bank that had all the Palestinians, and annexed to Israel the eastern “Jordan Valley” part that had almost no Palestinians. 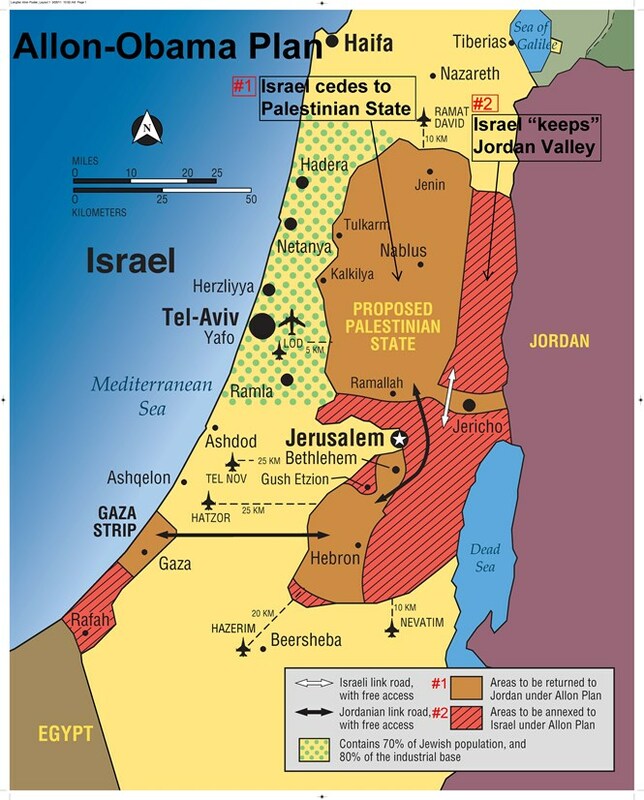 The trouble is that - in addition to the Palestinians never agreeing to such a plan - the Jordan Valley area which would be annexed to Israel is militarily indefensible. It's indefensible firstly because it is virtually disconnected from the rest of Israel and hence, is almost impossible to access. Secondly, like the "Philadelphi corridor" in the Gaza Strip, it would be vulnerable to attacks from both the new Palestinian state to its west, and from Jordan to the east. Simply put, it's a death-trap. So, Israeli soldiers going into the Jordan Valley to defend it will be coming out in body bags. To use a metaphor, the Allon "Jordan Valley" Plan is like first inviting terrorists into your house and then thinking that if you control the "door" to the "house," you’re safe. The problem is, you have a bunch of terrorists locked inside your house and you aren’t safer any safer - in fact, you’re in mortal danger. All you’ve done is put the terrorists in a better place to murder you. 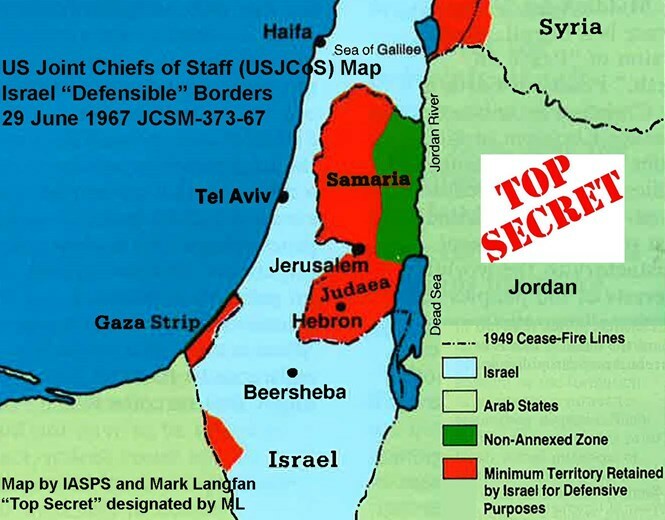 The "door" in the Allon Plan is the Jordan Valley zone that the Israeli generals think will keep out the terrorists they have already let into the "house" of the western Samarian Palestinian state. In 1967, the US generals and admirals of the US Joint Chiefs of Staff made their own opinion very clear. Instead of looking at the problem of Israel's defensible borders from Allon's purely political perspective of, "What to do with the Arabs in Western Samaria," they asked themselves the purely military question of "How do we defend and protect the lives of the 6 million Jews of Israel and Tel Aviv?" Looking through this objective, non-political view, they came to the exact opposite conclusion of General Allon: the hills of Western Samaria overlooked the low-land areas of Israel's key population centers in the Sharon coastal plain, and hence were absolutely vital to keep. 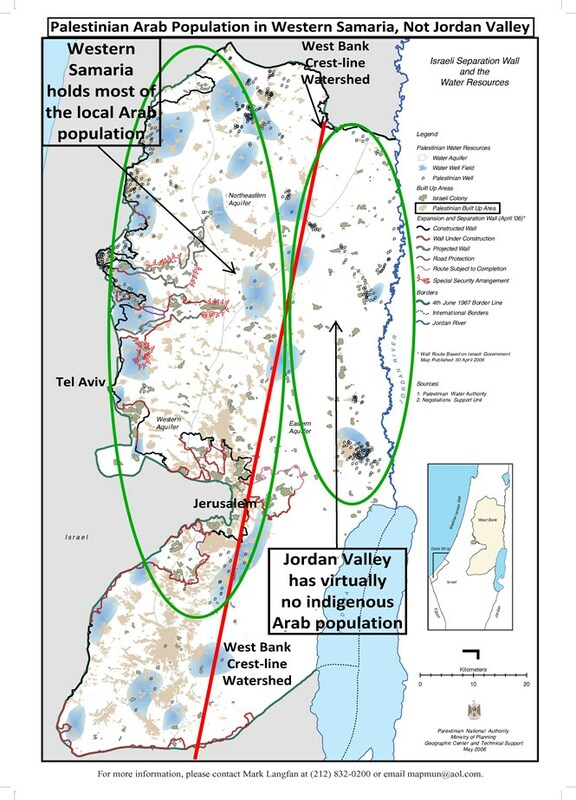 What's more, they clearly felt that the Jordan Valley was far from Israel's population centers and militarily irrelevant if Israel controlled the north-south West Bank crest-line overlooking the Jordan Valley. The US Joint Chiefs' reasoning was perfectly politically-incorrect, but militarily impeccable, timeless, and exactly correct. They posited that Israel can't allow its population center of Tel Aviv to be exposed to "artillery," which today translates into "Palestinians will fire Katyushas into Tel Aviv from the hills of Western Samaria." The hills of Samaria, they asserted, would expand the "narrow portion of Israel" which is only 9 miles wide without it, and "provide additional terrain to defend Tel Aviv," and "would provide adequate lines of communication for lateral movement." In modern-day terms, this means that in the event of a Palestinian state in Judea and Samaria, it will be impossible for Israel to mobilize, and move its forces north and south through the Tel Aviv-corridor-bottleneck which will be under Palestinian attack. All of the US Joint Chiefs' reasons are even more important today than they were in 1967, when they first authored the document in the actual name of the "US Joint Chiefs of Staff," and when the Chairman of the US Joint Chiefs of Staff signed the memorandum personally. With small, easily smuggleable modern-anti tank weapons and laser-designators, a Palestinian state could attack and paralyze Israel's "soft-underbelly" of the Tel Aviv-Netanya coastal plain. None of the US Joint Chiefs' reasons had anything to do with the Bible, or anything religious. They relied on timeless military truths. 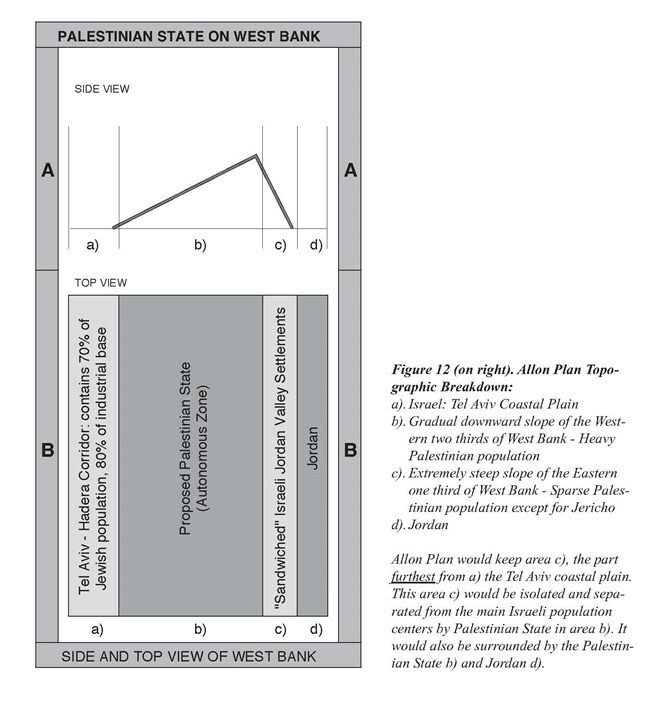 In short, the Allon plan was a "political" scheme, dressed in "military plan" clothing. It was never designed to militarily protect Tel Aviv, or anywhere Israel for that matter. Sadly, generations of Israeli officers have drank the "Kool-aid" of the Allon Plan and have merely created an even more lethal, if not suicidal, form of "The Concept I" of the 1973 War. For "The Concept II" of the Allon Plan doesn't just risk losing the Sinai, it risks losing Tel Aviv and the entire country of Israel.